From left to right, Lance Cpl. Taylor J. Conrad, Gunnery Sgt. Derik R Holley, 1st Lt. Samuel D. Phillips and Capt. Samuel A. Schultz were killed as a result of a CH-53E Super Stallion helicopter crash in the vicinity of El Centro, California, April 3. 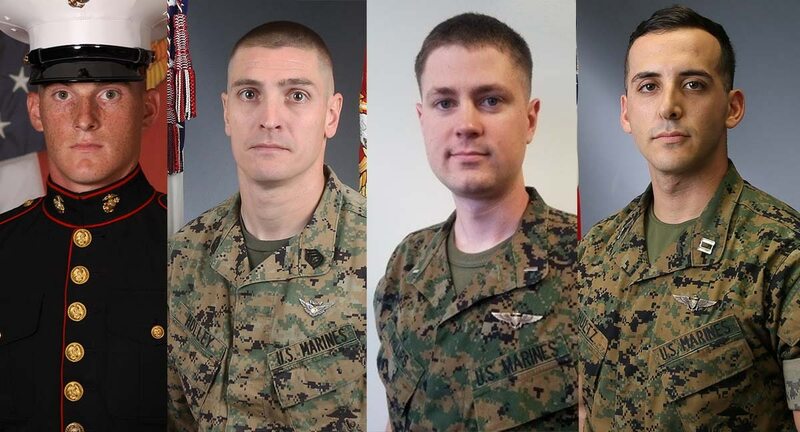 Military officials have identified the four Marines killed in Tuesday’s CH-53 crash near El Centro, California. Capt. Samuel A. Schultz, 1st Lt. Samuel D. Phillips, Gunnery Sgt. Derik R. Holley, Lance Cpl. Taylor J. Conrad, were killed on April 3 when the CH-53 Super Stallion they were operating crashed after leaving the Marine Corps Air Ground Combat Center Twentynine Palms, California. The two pilots, Schultz and Phillips, and aircrew members, Holley and Conrad, were assigned to Heavy Helicopter Squadron 465, Marine Aircraft Group 16, 3rd Marine Aircraft Wing based out of the air station in Miramar, California. Most of the crew was relatively young with few deployments on their belts. Schultz, 28, of Huntington Valley, Pennsylvania, had one deployment aboard the 11th Marine Expeditionary Unit. He joined the Corps in 2012. And one of the crew chiefs, 33-year-old Holley of Dayton, Ohio, was a seasoned veteran with two deployments to Iraq, one tour with the 15th MEU, and a stint at Japan. Having joined the Corps in 2003, the gunny had nearly 15 years of service under his belt. A native of Pinehurst, North Carolina, Phillips joined the Corps in August 2013. He did tours at Naval Air Station Pensacola, Florida, Naval Air Station Corpus Christi, Texas, and the Marine air station located in New River, North Carolina. He was 27. The youngest Marine to lose his life in the April 3 crash was 24-year-old Conrad of Baton Rouge, Louisiana. He Joined the Corps May 2016. 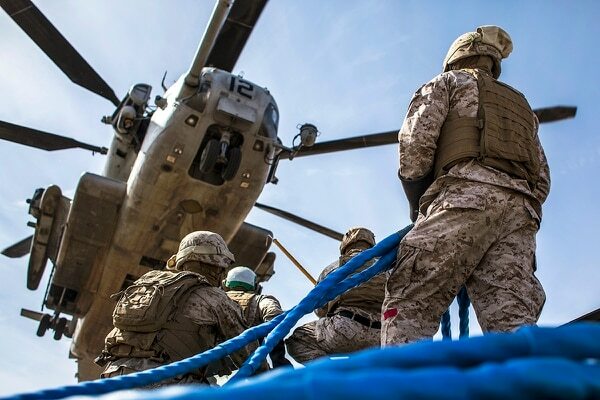 The CH-53 the Marines were piloting crashed roughly 15 miles west of El Centro, California, after the aircraft left the Twentynine Palms training base to practice landing on “unimproved landing zones,” according to a command release sent Thursday afternoon. “The hardest part of being a Marine is the tragic loss of life of a fellow brother-in-arms,” said Col. Craig Leflore, commanding officer of Marine Aircraft Group 16. Leflore added his “deepest sympathies” were with the families of those lost in the crash. The deadly crash on Tuesday was the latest in a string of crashes to plague the Corps. 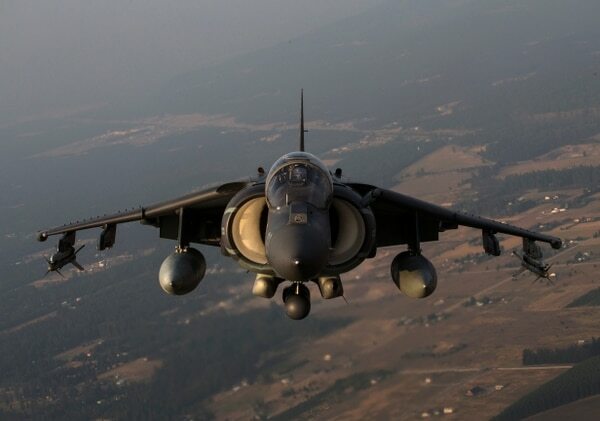 That same day, an AV-8B Harrier crashed in Djibouti after a pilot ejected from his aircraft shortly after take-off. And a CH-53 Super Stallion received structural damage while landing during a training exercise. Both pilots and crews, belonging to the 26th MEU, were not seriously injured in those incidents. But military officials have temporarily suspended flight operations in Djibouti and have canceled the remainder of a major military exercise in Djibouti called Alligator Dagger. The air mishaps in Djibouti are currently under a joint investigation. The crash that took the lives of four Marines Tuesday is also under investigation.